There has always been something about the ever so popular “peace sign”, that looks somewhat like an upside down cross, that rubbed me the wrong way. I think the reason I always found it to be deficient in some way was in the way that most people espouse “peace” while using it, which is anything but! After all, “you shall know them by their fruit”! It was only while looking through an old pocket size Missal from 1942 that it hit me like the V8 vegetable commercial, it is an Anti-Catholic symbol! But rather it is an upside down image of the Catholic Priest’s Chasuble. 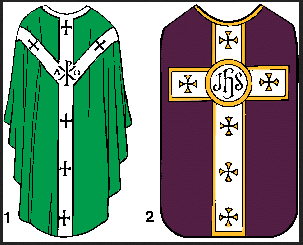 There are two basic types of Chasubles used in the Roman Rite Church, with the Gothic one being the most common but there are others. The CND has always been under the suspicions of being a Communist front group in London England that sprang up almost at the same time the Cold War started. The Church was/is hated by the Communists because it stands in direct opposition to Communism by the very virtue that it is the Church Christ established on Earth and therefore in direct opposition to anything socialist and or communist. Communism at it’s fundamental level is man reigning over man with absolute power. Jesus The Christ on the other hand is God ruling over man with absolute love (sacrifice). The two are complete opposites of each other and that is why the peace sign is an upside down image of the Priest’s Chasuble, because the Priest is the one who brings Christ to the people and the true Prince of Peace! Tagged: Catholic, Chasuble, Christ, Jesus, Peace, Peace sign. So is every other symbol that”s out there EVERYWHERE you turn now a days! 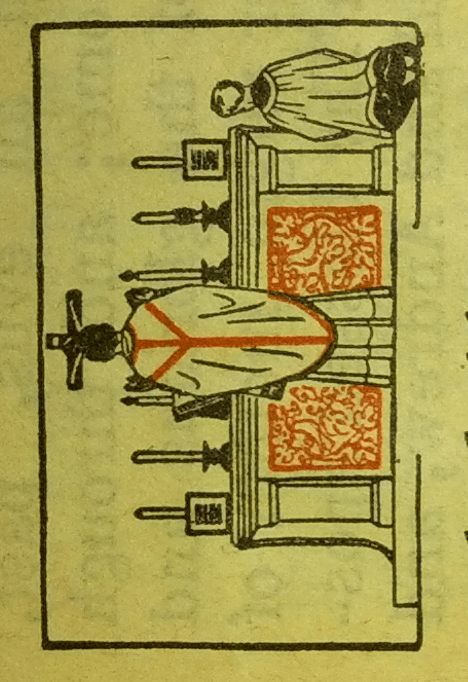 It’s a nice observation from the 1942 Missal! 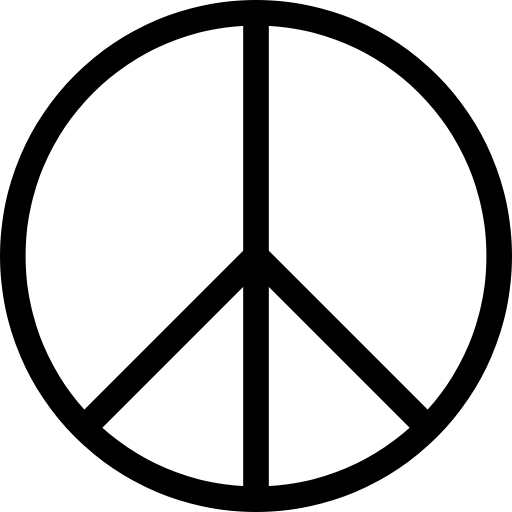 You have to remember, that “peace symbol” first popped up in the US back in the 60″s. That’s over 5 decades ago! Today’s symbols are deeply rooted in the culture of death! Just look at any billboard or TV ad’s now that hits you 100 times daily!